Imagine a record store that stocks only The White Album. This month in Soho, it exists. 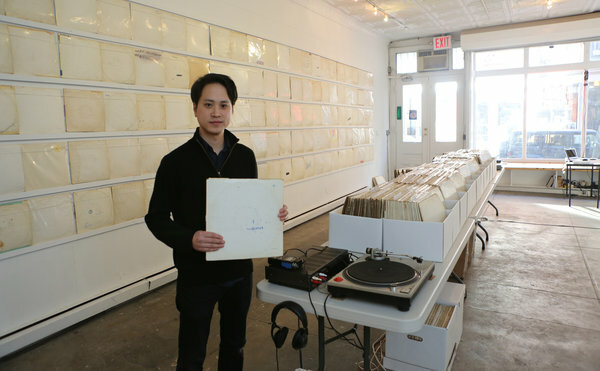 "We Buy White Albums," an installation at the Recess Gallery by Rutherford Chang, displays 700 of Chang's own White Albums on its walls. Each record -- worn, torn, and doodled on through the decade -- tells its own story. In an age when music is sold through downloaded files, it also shows the power of a physical object, the record, that just doesn't exist anymore. Rutherford Chang is 27 years old. He believes The Beatles are as relevant and powerful for his generation as for any other. They led more than the music revolution we all know about. Their album covers changed art and design forever. Here are some of the best. 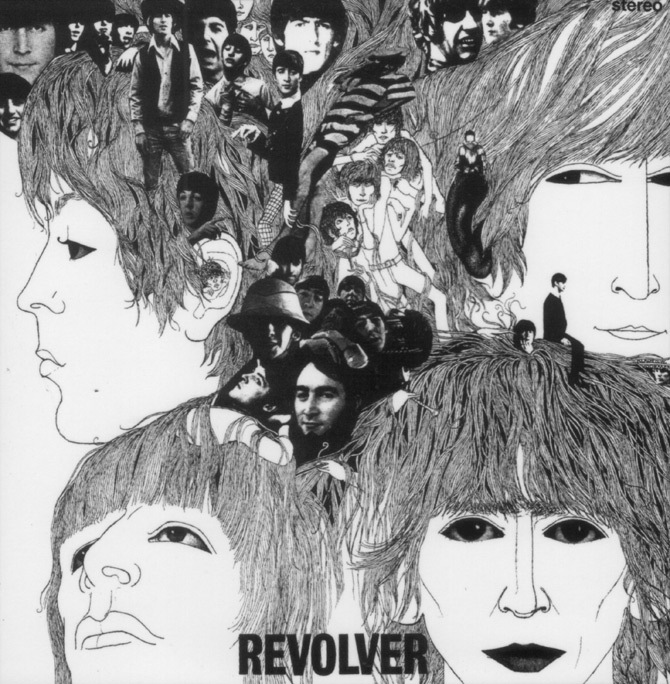 Part-line drawing, part collage, Revolver's iconic cover is the handiwork of German artist Klaus Voorman, the Beatles' old pal. Voorman designed the cover to mirror the feel of the music itself at the psychedelic dawn. "They were being so avant-garde," Voorman has said. "I thought, the cover has to do the same thing. How far can I go? How surreal and strange can it be?" The Revolver design was created by sifting through piles of newspapers for pictures of the Fab Four, cutting them out and gluing them together, and then superimposing them onto a line drawing. I had a few strange ones where John was pulling a face, or Paul was laughing, but in general, the photos show their sweet side. The first time I showed it to them I was scared, because nobody said anything. They were just looking at it. I thought #@%, they hate it. Then Paul looked closer and said, 'Hey, that's me sitting on a toilet!' George Martin took a look and said, 'You can't show that!' Paul said, 'No, it's great!' So that broke the ice. McCartney later decided to take that picture off. But the idea was set. The album art helped kick off the psychedelic era, foreshadowing the technicolor explosion of Sgt. Pepper one year later. The cover of Sgt. Pepper's Lonely Hearts Club Band is, without a doubt, one of the most iconic images in the history of rock 'n' roll. But it wasn't always the design we know and love. The photo was originally going to show the Beatles playing in a park. 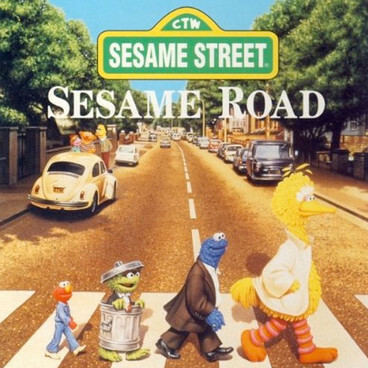 Luckily they scrapped that plan, and the cover evolved into the final concept, where The Beatles stand amidst cardboard cutouts of their cultural heroes. Rebel-rouser John Lennon suggested -- half-jokingly, it is believed -- that they include Jesus Christ, Gandhi, and Adolf Hitler in the cover photo. The lingering bitterness about Lennon's "the Beatles are bigger than Jesus" comment led the band to scrap his image. Hitler was also thought to have been removed before the shoot on the grounds of taste. But in 2007 Sir Peter Blake admitted to the Independent, "Yes he is on there -- you just can't see him. If you look at photographs of the out-takes, you can see the Hitler image in the studio." A Hitler cutout was created before it was wisely removed and pushed out of the shot. In the end the collage includes Edgar Allen Poe, Fred Astaire, Karl Marx, Bob Dylan, Lewis Carroll, Jane Mansfield, other British Rockers, and Shirley Temple (who requested to hear the record before she allowed her image to be used). 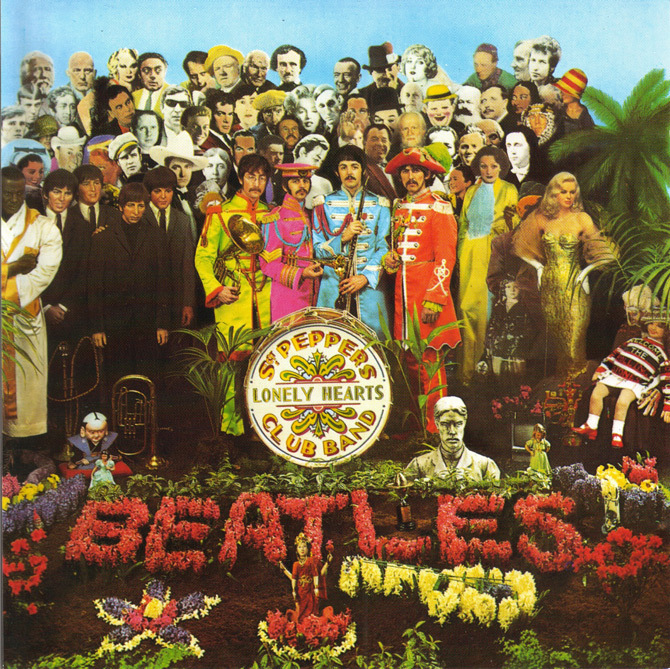 Designer Peter Blake (now, Sir) received only £200 for creating one of the most important album covers ever. As he put it, "I could be bitter about only getting £200 for Sgt. Pepper. But I have to move on." The Beatles is the original anti-cover. 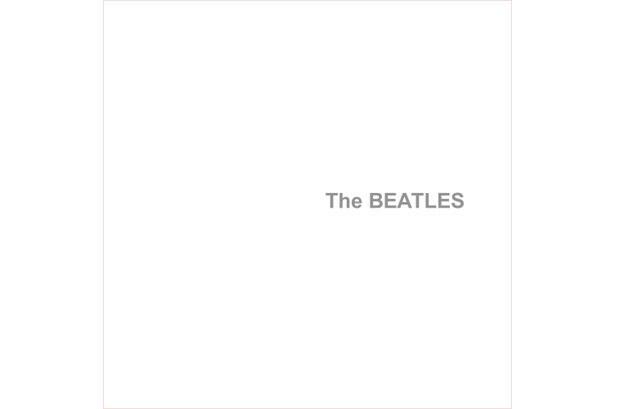 It's only known as The White Album due to the absence on the cover of anything other than the band's name in embossed lettering. The jacket was designed by Richard Hamilton, who is often called the father of pop art. Hamilton proposed the blank cover as a deliberately minimalist response to the technicolor overdose of Sgt. Pepper. The simple white square was an instant design hit-- and spawned thousands of homage covers. 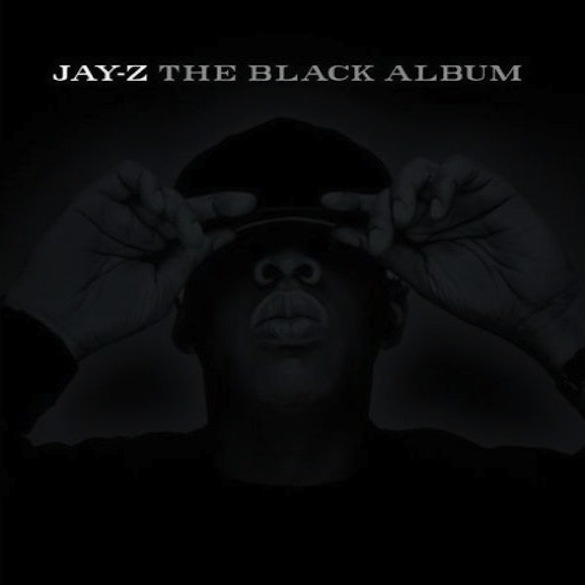 Jay-Z, Prince, and Metallica all created entirely dark CDs called The Black Album. Punk band Weezer created The Green Album and The Blue Album, and the comedian Dennis Miller released The Off-White Album in 1988. 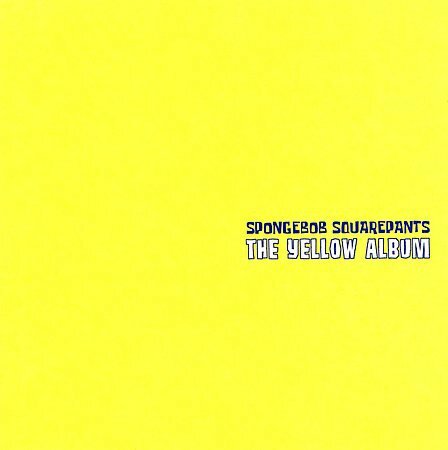 For his part, Spongebob Squarepants released The Yellow Album. The photo shoot for 1969′s Abbey Road took only 10 minutes. Just six frames were taken by the photographer, Iain Macmillan, who was perched on a stepladder. Those 10 minutes would change rock and roll forever and create not just a great piece of art, but a cultural landmark. 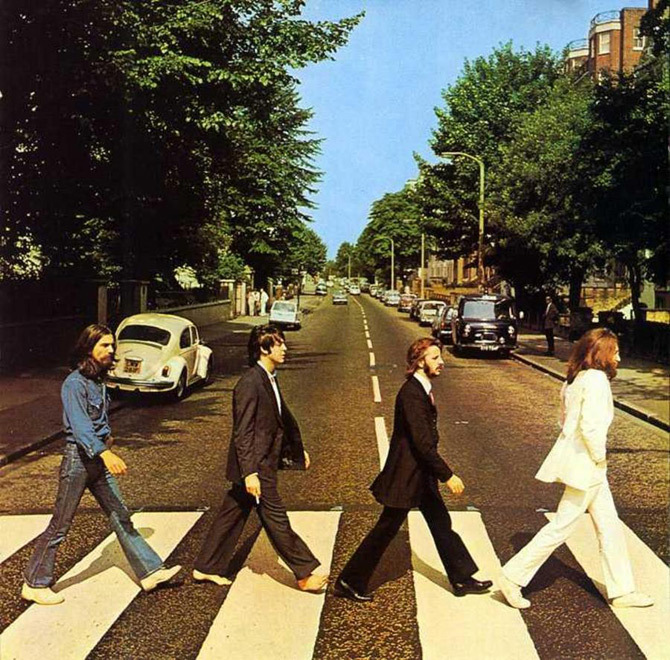 The Abbey Road zebra crossing attracts thousands of musicians and tourists every year, who hope to recreate themselves on the album cover each year. Can't get to London? The Abbey Road WebCam let's you watch the never-ending stream of fans 24/7. 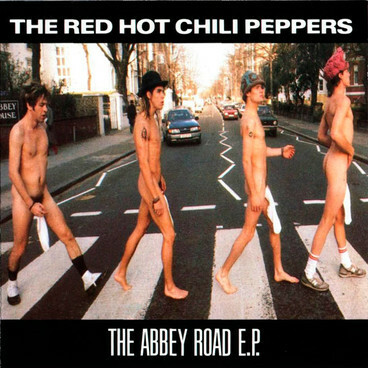 Beatles nuts who believed that Paul McCartney died in 1967 and had been replaced by a lookalike found a lot to examine on the cover of Abbey Road. They saw the picture as a funeral procession: John (dressed in white) was the preacher, Ringo (in black) the mourner, and Paul (barefoot) was the corpse. They believed a license plate in the background, 281f, was a code that meant Paul would have been 28 years old if he had not died. These folks are the birthers of music fans. 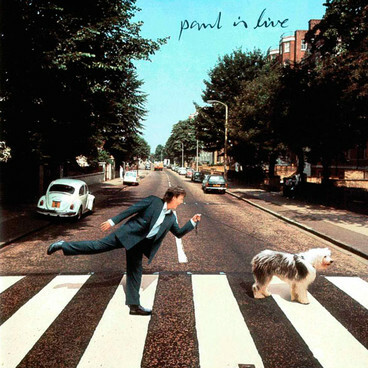 But it didn't stop McCartney from doing his own tribute to the cover on his 1993 concert EP, Paul Is Live. If you can't beat 'em, join 'em.